For a long time, decommunisation in Ukraine occurred primarily in a spontaneous manner, never reflecting any particular initiative on the part of the central bodies of state authority. The main method for erasing the “legacy of totalitarianism” was renaming various geographical objects (streets, districts, population centres) and enterprises, as well as removing statues and monuments. The first stage of mass decommunisation took place in the early 1990s in Ukraine’s western regions. It was carried out very swiftly and decisively through the efforts of civil activists, intelligentsia and bodies of local self-government. The most illustrative decommunisation process occurred in Lviv. Prospekt Lenina (“Lenin Avenue”) was the first object to be renamed. In 1990, while the Soviets were yet in power, it received the new name Prospekt Svobody (“Freedom Avenue”). The activities of the Commission for Naming and Re-Naming Streets, Alleys, Avenues, Squares and Parks began in 1991. The commission operated on a volunteer basis and was subordinate to the Lviv City Council. The first unmistakeably anti-Russian attitude in decommunisation was found in 1996 when Lermontov Street was renamed, by the decision of the Lviv City Council, in honour of Dzhokhar Dudaev, leader of the self-proclaimed Chechen Republic. In the opinion of Lviv historian Andrey Grechilo, this all supposedly happened spontaneously and as if by accident. “The Chechen war happened and the Russian special forces liquidated the rebel leader. At the initiative of late-deputy Yaroslav Lemik, the council voted. Lermontov just fell under a hot hand. The street was in the centre of the city, and therefore they stopped on it,” said Grechilo in comments to the online magazine Tvoe Mesto (“Your Place”). - Ukraine for Ukrainians! So, drive out all foreign oppressors from Ukraine. On the whole, in Lviv, as in other regions of western Ukraine, the new names of streets were selected adequately and with motivation. Moreover, a unique interactive project “Streets of Lviv” was developed so that the young generation of Lvivians could preserve the memory of the old names, too. The second phase of decommunisation was launched during the presidency of Viktor Yushchenko (2004-2009). As a result of the constitutional reform of 2004, which changed the form of Ukraine’s government from presidential-parliamentary to parliamentary-presidential, Yushchenko ended up as a president with rather limited powers. And in conditions of perpetual conflicts with the cabinet of ministers and Verkhovna Rada, the only field of political activity where the president could feel relatively free was in symbolic policy. The main establishment worked out by this policy was the Ukrainian Institute of National Memory, founded in 2006 on Yushchenko’s initiative. It was in this period specifically that decommunisation ceased to be solely the initiative of western Ukrainian civil society and becomes a full-fledged institutional practice and particular focus of Ukrainian state policy. In March 2007, the presidential decree “On measures in connection with the 75th anniversary of the Holodomor 1932-1933 in Ukraine” mandated the “removal of monuments and commemorative signs, as well as the renaming of streets, squares, alleys, avenues, parks and public gardens, dedicated to figures,” implicated in the famine, among other things. In fact, this document is the first national legal act legalizing decommunisation in Ukraine. Parallel to the state level, all-Ukrainian public associations started actively forming, their goal being the struggle with memorials of the communist past. The largest among them was the national Decommunisation Committee formed in June 2009. It included representatives from the All-Ukrainian Union Svoboda (“Freedom”), UNA-UNSO (Ukrainian National Assembly – Ukrainian People's Self-Defence), VO Tryzub (“All-Ukrainian Organisation Trident”) named after Stepan Bandera, the Association of Holodomor Researchers in Ukraine, the Memorial Society named after Vasil Stus, the Organisational Committee of the International Court on Crimes of Communism, OUN (Organisation of Ukrainian Nationalists), VO Prosvita (“All-Ukrainian Organisation Enlightenment”), Union of Officers of Ukraine, Student Brotherhood, and other Ukrainian far right parties and public associations. The Committee put forward demands for the immediate liquidation of monuments dedicated to figures who participated in “criminal acts against the Ukrainian people”, as well as changing the names of the population centres, streets and organisations connected to the “occupying Communist regime”. In power at that moment, Yulia Tymoshenko’s government ignored the appeal, which in the future, in the run-up to the 2010 presidential elections, seriously exacerbated the tensions at the local level between the prime minister’s party Batkivshchyna (“Fatherland”) and right-wing radicals. After winning the 2010 presidential elections, Viktor Yanukovich restructured somewhat the Institute of National Memory founded by his predecessors and partially halted the state initiatives on decommunisation. Meanwhile, the public initiatives continued with their activities. During Yanukovich’s presidency, the Museum of Soviet Occupation in Kiev functioned smoothly. The acts of protest occurring within the context of Euromaidan led to a new, spontaneous surge of decommunisation in all regions of Ukraine. This manifested as the collective destruction or damaging of monuments to Lenin and other Communist era figures (Artem, Kirov, Kuibyshev, Shchors) and acquired the succinct name “Leninopad” (“Lenin fall”). The first decision on the demolition of Soviet monuments was made by protestors at the "popular assembly" on 8 December 2013. In the evening of the same day, the statue of Lenin in front of the Bessarabian market was toppled. In late February, mass toppling of Communist monuments took place in Zhytomyr, Dnipropetrovsk, Chernihiv, Kirovohrad and Poltava. According to ТSN, the period of the most intensive Leninopad was 21-24 February 2014, right after Yanukovich fled the country. In those places where it was not possible to remove Soviet monuments for some reason or another (for example, anti-Maidan activists put up a tough resistance in Zaporozhe), people bedecked them in embroidered costumes or painted them with the colours of the national flag. In spite of the fact that the Leninopad in Ukraine happened in an entirely peaceful manner, experts evaluate this phenomenon variously. Alexei Garan, professor of political science at the Kiev-Mogiliansk Academy, is certain that the spontaneous demolition of Soviet era monuments is totally normal. 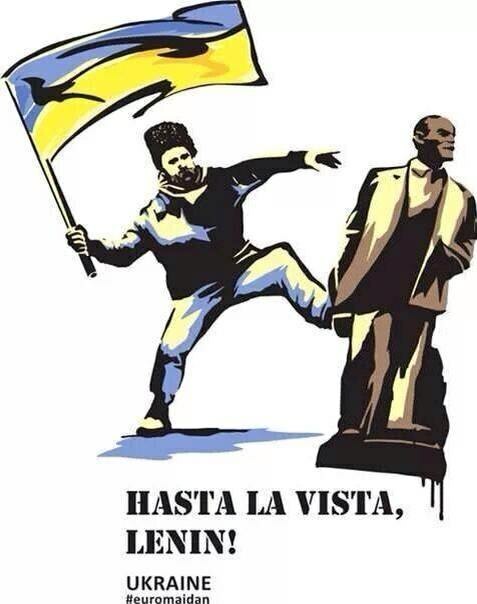 In his opinion, keeping memorials to Communist leaders in Ukrainian streets is disgraceful. “It’s not normal. It is more or less like, say, if memorials to Nazi regime leaders were found throughout Germany and streets were named in honour of the 5th or 25th session of the NSDAP,” thinks Garan. Maria Kosareva, Director of the Laboratory for Social Psychology at Luhansk University, thinks the Leninopad was less an act of decommunisation in the sense of conscious warring against communist symbols and legacies and more a manifestation of the collective unconscious. “The archetype of the destroyer, in this specific situation the destroyer of sacred places, is embodied by those people who destroyed the monuments to the Soviet chiefs. This is the result of skilful manipulation and the rousing of instincts hidden deep inside the human psyche,” the expert told Europe Insight. According to political scientist Kostya Bondarenko, the decommunisation initiatives only undermine the political situation in Ukraine. “This will be an irritant and does not contribute to stability in any way. Someone will applaud, and someone, like in Slavyansk, will protect the statue with his own body. We have in the country those who are adept at one historical line as well as the other. I think that we should be fighting not with monuments but for the future,” said the analyst. The Leninopad has been interpreted negatively in a number of European countries. According to Artem Samokhin, a political analyst for the Lviv analytical group EuroTemp, “in the expert circles in Spain and Portugal with whom we were working at that time (February-June 2015 – Ed. ), the comparison was commonly made between the destruction of Communist monuments in Ukraine with similar such actions in Iraq after Saddam Hussein.” “This gave rise to uncomplimentary comments about the level of our political culture, but allowances were still made for the legacy of the many centuries that our people have had to endure the yoke of colonialism. It was thought that the hasty destruction of monuments left behind by dictatorial regimes is an integral characteristic of the struggle with colonialism. In our case, specifically, with Russian (colonialism),” the expert said in a conversation with Europe Insight. On 9 April 2015, the Verkhovna Rada adopted a legislative package submitted by the cabinet of ministers, which regulates the process of decommunisation in Ukraine.1,2,3,4 They concern the condemnation of the Communist regime, opening of the secret service archives, and recognition of the Ukrainian Insurgent Army (UIA), along with other Ukrainian national armed units and fighters for Ukraine’s independence. It is now legally obligatory for geographical or other objects to be renamed if their names are connected to the Soviet regime. It is highly symbolic that one of the authors of these laws is Yuri Shukhevych, the oldest deputy in the Verkhovna Rada and the son of the UIA commander Roman Shukhevych. 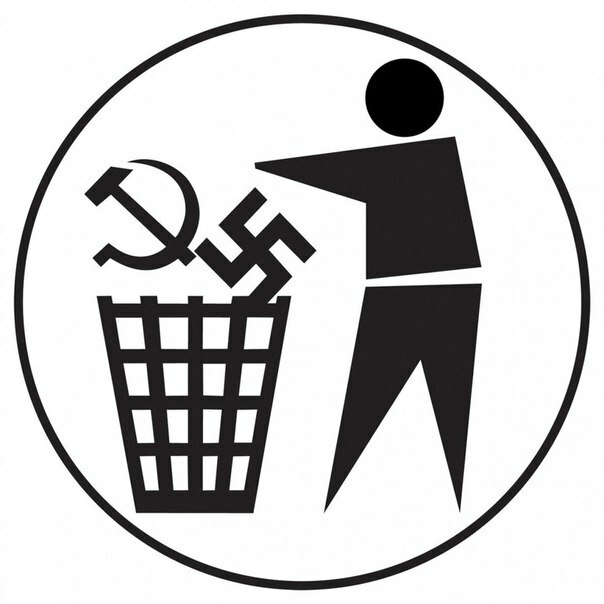 Politically, the most important law in the “decommunisation package” is “On Condemnation of the Communist and National-Socialist (Nazi) Totalitarian Regimes in Ukraine and Prohibition of Propaganda of Their Symbols.” In concept it condemns the Nazi and Communist regimes with formal equality. Moreover, the latter is seen as a completely homogenous phenomenon. In the law, the timeframe of the “totalitarian Communist regime” is clearly indicated: 1917-1991. But it lacks the generally accepted differentiation between Stalinist totalitarianism and post-Stalin authoritarianism, which can include the period of Khrushchev’s “thaw” and Brezhnev’s “stagnation”, as well as Gorbachev’s Perestroika. It is noteworthy that the emblem, flag and hymn of the Soviet Union (musically identical to the hymn of Russia) are considered symbols of the Communist regime and the hymn’s public performance is forbidden in Ukraine. Banned are all forms of state flags, emblems and other symbols of the Ukrainian Soviet Socialist Republic, other allied and autonomous Soviet republics that were part of the USSR, in addition to the People’s Republic of Albania, People’s Republic of Bulgaria, the GDR, the Romanian People’s Republic, the Hungarian People’s Republic, the Czechoslovak Socialist Republic, the Socialist Federal Republic of Yugoslavia and socialist republics constituting it. The terms “propaganda”, as well as “symbols” and “denial of crimes” have caused serious concern in the European Commission for Democracy through Law (Venice Commission). With regard to the first concept, it is noted in the special session of commission №823/2015 that the concept needs to be clearly defined, especially when being applied for the purposes of criminalising certain actions. The European experts have also emphasised that the law must include a less encompassing and exhaustive list of banned symbols. As far as “denial of crimes”, the relevant legal provisions must be linked to concrete crimes and not simply refer to the overall “criminal nature” of the Communist regime, which is too vague. The Venice Commission gave special attention to the impact of the decommunisation law on political parties of Ukraine. This has largely to do with the fact that on 24 July Justice Minister Pavlo Petrenko signed a decision according to which the Communist parties existing in Ukraine lost the right to be involved in the political process. “After the law was adopted (on decommunisation – Ed. ), an independent commission was created that within a month’s time checked the compliance of the three communist parties in Ukraine: the Communist Party of Ukraine (CPU), Reformed Communist Party and Communist Party of Ukraine’s Workers and Peasants… “No longer can they be involved in the election process, and they cannot participate in the country’s political life,” announced Minister Petrenko. On 16 December, the Kiev District Administrative Court banned the CPU. Taking these events into account, the Venice Commission stated that it should be clearly indicated in the law on decommunisation that the prohibition of any association is an extreme measure that should only be applied in exceptional cases, in proportion to the seriousness of the crime. Amnesty International also spoke in support of the Ukrainian Communists. “Banning the Communist Party of Ukraine sets a dangerous precedent. This is a step backwards for Ukraine on its path towards reform and respect for human rights,” stated John Dalhuisen, Amnesty International’s Europe and Central Asia Director. As Sergey Zdioruk, Head of the Humanitarian Security Division at the National Institute for Strategic Research, mentioned to Europe Insight, the Venice Commission’s conclusion can influence the decommunisation process insofar as representatives of the Ukrainian establishment take it into account and try to improve the existing situation. However, some are also of the opinion that if the conclusions of the international organisations are to be incorporated, then it will be "formally, as a framework". "The possibility of amending the law exists. If it comes to that, the law will be changed. But nothing will change for the CPU and Communists themselves," a source in the Popular Front faction of the Verkhovna Rada told Europe Inside in a private conversation. Over the past 25 years of Ukraine’s independence, decommunisation has evolved from a regional political practice carried out by individual civil society institutions to a full-fledged state policy. However, in conditions of general political instability in Ukraine, the implementation of decommunisation is seriously complicated. As Sergey Zdioruk sees it, the main threat to decommunisation comes from regional political and administrative elites. “People with power on the ground can turn everything inside out. The local factor has become so entrenched that it will be very difficult to overcome [their resistance]. If this decommunisation was taking place in 1991-1992, it would be the thing needed. But now there are already many unfriendly elements and direct enemies that want to discredit this process,” the expert told Europe Insight. By forcing territorial communities to carry out the renaming of various objects in accordance with the new law, the central authorities face widespread sabotage. 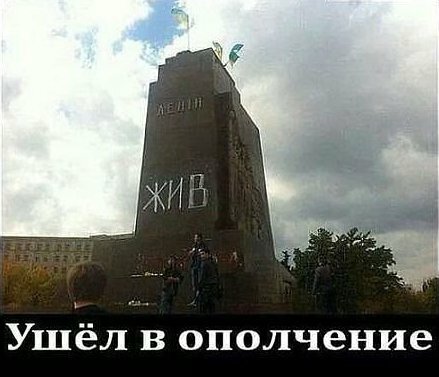 At the same time, local governments and individual administrators, fearing political reprisals, will not enter into direct conflict with Kiev by refusing to rename the monuments, but they will try to circumvent the legislation. 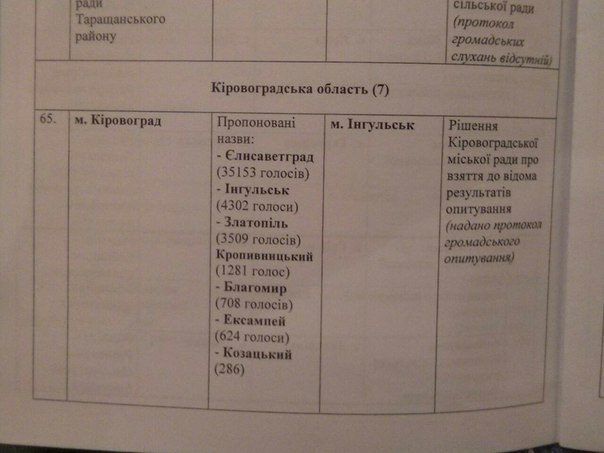 For example, last October, the Krasnyi Liman City Council in Donetsk Oblast, “renamed” the city Krasnyi Liman “in compliance” with the law on decommunisation, using the argument that the adjective “krasny” should now be understood as “beautiful” instead of “communist” or “soviet”. Such political stunts incite the displeasure of the central authorities and their representatives at the local level. Particularly critical is the situation in the Donetsk Oblast, where local councils have missed every possible deadline for decommunisation, thoroughly angering the region's new governor, Pavel Zhebrivsky. The authorities in Kiev implement decommunisation directly where pressuring local authorities produces inadequate results. The story of Kirovohrad is very revealing with regard to how this is all working out. On the day of local elections (26 October), a plebiscite was held there regarding the renaming of the city. 45,863 people participated in a survey (out of a population of 200,000). Of them, over 35,000 voted to restore the city’s historical name – Elizavetgrad. However, despite this and the recommendation of the city council, the Verkhovna Rada made the unilateral decision to assign the city the name Ingulsk, which has no historical basis. According to Bogdan Korolenko, the reason for the Verkhovna Rada’s action was that the name Elizavetgrad has “imperial-colonial connotations”. 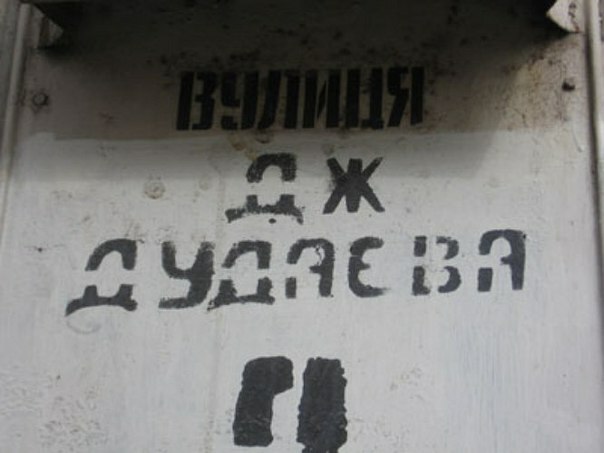 To stave off future situations, like the one in Kirovohrad, where local inhabitants want to go back to using an historical name tied to the Russian past instead of a Communist one, the Ukrainian authorities are promoting the law “On Amending the Ukrainian Law ‘On Geographical names’ with regard to establishing geographical names”. The aim of the project is “stifling propaganda of imperialist subjugation of Ukraine as well as the assignation to geographical objects of names that are the names or pseudonyms of monarchs, state, political or military figures of Russian tsarism or the Russian Empire of the 14-20th centuries, or derivatives therefrom. It remains doubtful, however, how effective the attempt of the Ukrainian authorities to completely marginalise the Russian identity of part of the country’s population – whether indirectly (through decommunisation) or directly (by banning Russian historical names) – will be. As Josef Zisels, Vice-President of the Congress of National Communities of Ukraine, said in 2008 at the round table “Historical Memory as the Field for the Struggle for Identity”, “The issue is not that this was communism. In my view, Russian imperialism and communism are just civilisational identity modulators. We can deal with the modulator, which itself can exit the arena in a historical sense. But we must think about the deep civilisational foundations that cannot simply be avoided – because they determine the course of history for many centuries to come.” In other words, attempts to forcibly forget and to rewrite the past are doomed to failure, at least in the short-term.